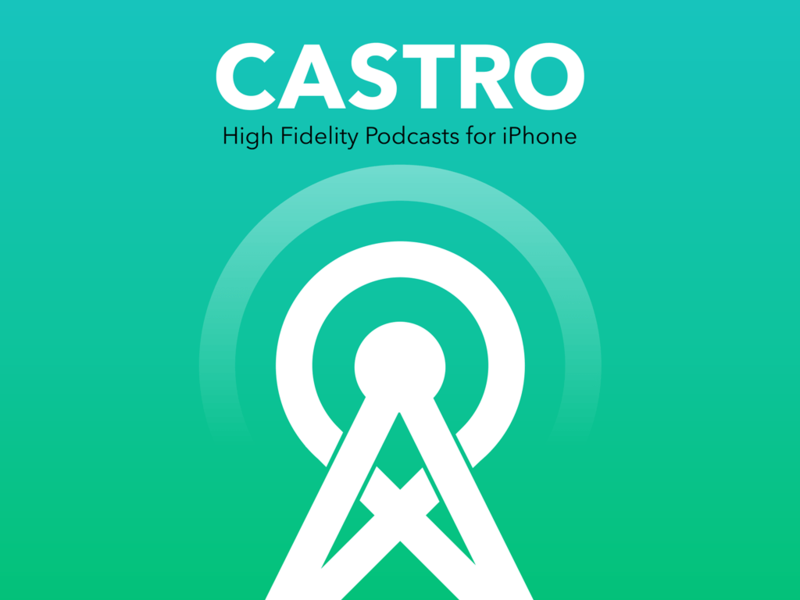 Today's iPhone has a new round-up of the latest and greatest in podcatchers, including the new Castro app, which sports a beautiful iOS7 interface and gets the Dan Benjamin thumbs-up! 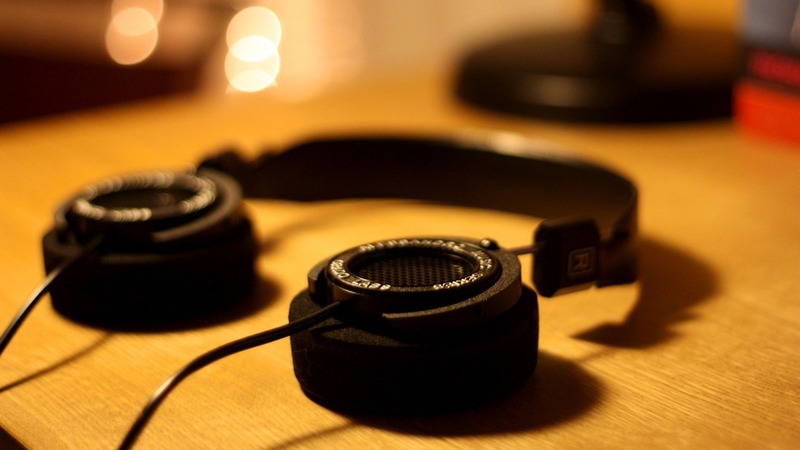 Mashable's Yohana Desta goes through 14 Podcasts to Help You Forget About Your Crummy Commute. Fast Company Labs‘ Tina Mirtha has a story on the use of Knight Labs' SoundCite, as an An Open Source Library For Turning Journalism Into Podcasts, although it seems they might be using the ‘podcast' term a bit too loosely. 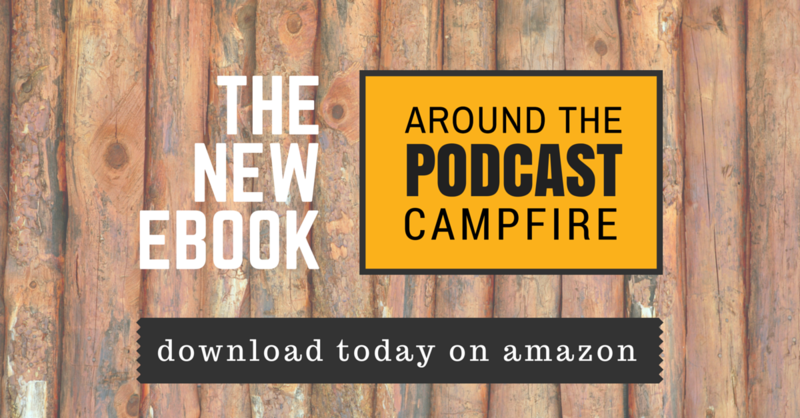 Want to be notified as when we publish a new interview on Podcast Junkies? I love Podcast Junkies. Harry is a very natural presenter and I like the way the convo flows with his guests. Always engaging and entertaining and full of surprises! I am hooked! Harry has given me permission to not worry about being perfect. Leave a dog bark in the background in. And just flow in your conversation. The guests. WOW. I love that this is not all about podcasting by great life lessons. I am working on catching up but enjoying this journey. You will too! I had the pleasure and good fortune of meeting Harry Duran at the LA Podcast Festival in LA this past Fall. He is a great interviewer with a perfect "radio" voice, and he knows everyone in the podcast field. I also believe that Harry has the genuine intention of helping every individual podcaster out there, including newbies like myself, and to advance the field of podcasting, one podcaster, one episode, at at time. Finish 2016, strong, Harry! And make 2017 you you can imagine! This podcast is great for any podcaster! Came across this podcast early on and it had been an immense help. Thank you! As a long time podcaster myself, I can appreciate and highly recommend this show. You can never stop learning and Harry knows his stuff....plus I really enjoy his guests and they always bring something to the tabe. Great Variety of Amazing Guests! Harry has a great lineup of fantastic guests who share incredible information. Harry is a wonderful host and this is truly a great conversational podcast and introduces us to so many incredible people! A wide arrange of applicable topics are covered that you will surely find inspiring and useful! Thank you Harry for bringing stories and ensights on your shows. I had fun listening to your fellow podcasters. Fantastic! Excellent! So glad to find this! This is such a cool show! Harry turns the mic back on all these interesting podcasters, and the conversations are fascinating! I love the how Harry turns the mic on the podcasters themselves to dive deeper into their world. We're a unique bunch, so it's cool to get to know them as people and find out what makes them tick. Great guests and great questions, this one has me hooked for sure! I am pretty new to the podcasting world and Harry's interviews are a total eye-opener to all the type of podcast and podcasters out there. I like the diversity of guests Love the laid back environment of the dog barking in the back and the squeaky chair. Keep it up!! Harry is ahead of the curve! Listen to this show if you want hear funny stories and great anecdotes from leaders in the modern digital age. Great stuff Harry! I love hearing the “back story” of so many of the podcasters I listen to regularly. Even better, I get to discover new podcasts. Great show with really well run interviews! So grateful to have been a guest on the show. I love how down to earth Harry keeps the show content while maintaining high quality audio. His commitment to podcasting is flawless. Excited to be part of the Podcast Junkies community. Fun look pulling back the curtain on the people behind the podcasts! I love hearing other podcasters struggles and triumphs. Harry has a great interview style that’s light, but to the point. I always enjoy the range of guests he has on and look forward to every new episode. As a fellow podcaster, this show is a breath of fresh air in the increasing crowded podcast arena. Thanks Harry. Keep them coming! - Rob, host of The Open Sky Fitness Podcast! Love this podcast. Always great to hear podcasters share their stories with the rest of us. Your show has introduced me to so many great podcasters. Keep up the INSANE work Harry! Ever since podcasting came around it's my preferred from of entertainment, and the Podcast Junkies are all about this as well. Love the show, keep it up! Congrats on a great podcast! Great content and excellent delivery. Great show for us podcasters! Great resource. Thanks! Keep it up! Great podcast. Keep up the good work! Love everything that you have going on over here! Keep it up! What a great show with such an entertaining group of people--Podcasters! These are people who put on great shows, so what better show than one that brings them together? Keep up the great work! Greeeat! I truly enjoyed my time listening to this podcast. If you're seriously into podcasts, and you want to get into the behind the scenes, you've found your home. It's the podcaster's podcast. Harry does a great job of digging into the details and the back stories. Listen and you'll be hooked. For those of us who live and breath podcasts, this is for us! Harry Duran is passionate about the medium and the voice of the podcasters. Highly recommended! I really enjoyed this show and I'm definitely a podcast junkie. Great stories from within the industry. You'll learn a lot and be entertained. awesome , I hit the subscribe asap .. love the chase reeves episode. Great podcast Harry, and super interesting episodes. It's nice to hear from other podcast hosts & get some "behind the scenes" insights from them that aren't typically shared on their shows. Really enjoyed the episode with James Schramko as well. Keep up the great work! A podcast about podcast hosts! Brilliant! This is something that is truly fantastic! Harry, thanks for interviewing Rob Walch of Libsyn. Enjoyed listening to some of the stats around download numbers, something i've been wondering about for a while now. Its good to know that I'm among the top 20 percentile currently. Also learned some great podcasting best practices! I’m a podcaster, but more importantly I have been ADDICTED to podcasts for at least 10 years and boy does this show resonate with me! I feel like I’ve found the closest thing to AA for podcastaholics like myself. Man, as a podcast host I love this! Very very useful for me, and a great way for me to connect with this great path of jamming behind the mic. Thanks Harry, keep it up brother. A great resource for anyone interested in, or currently podcasting. As a podcasting newbie, this show is a must! Have you ever listened to a podcast and felt like this was a guy you’d love to kick back with? That’s Harry! Easy going, passion for podcasting, and excellent guests. Harry provides good insight of other podcasters and influencers in the industry. The information will keep you in the know of the new and interesting podcast. There are so many available - this helps to hone in. Well done. Creator and host Harry Duran interviews his friend and coach—Taki Moore—“This super coach tackles adversity with a smile,” plus he goes barefoot most of the time! Harry’s show is designed to cover ever aspect of podcasting—business, finance, entrepreneurship, history, storytelling and much more…. Harry is an engaging and gracious host who brings out the very best of each guest to the benefit of listeners…. Bravo, Harry, wish you continuing success! I love the host’s authentic style. The show has a great format and I found the content very useful. Keep up the great work! I just discovered Podcast Junkies via New Rainmaker's podcast feed where Harry was interviewing Showrunner host Jerod Morris. Harry is a talented host and interviewer. I enjoyed his easy vibe and felt that his interview style yielded a lot of insights, tips, and engaging storytelling. As a weekly podcaster, I enjoyed listening to two veterans, as it were, mixing it up. I've subscribed and highly recommend this show. Harry makes you feel like you are sitting at the table joining in the convo between him & his guest. You are a part of it. His gentle nature & curiosity to dig deeper finds the stories you've never heard before. It's a smart, long form conversation to learn as much as you can. Excellent show! What a great podcast! I find myself having to limit how many podcasts I can subscribe to and this podcast helps give me an overview of who is out there right now, rocking the podcast world. Great work! The host has a nice calm presentation that keeps a soothing aesthetic to encase excellent interviews. Real good sound quality as well. Excellent way to get inside podcasting! If you listen to podcasts you will love Podcast Junkies! Host Harry Durran interviews fellow podcast producers in a conversational style that reveals the personal side of your favorite podcast hosts. Although these fun conversations may diverge from podcasting from time to time, they always comes back, leaving listeners with a greater sense of who their favorite hosts are as people and the wide variety of podcasts and topics that are available. Harry and his guests also share insight into podcasting and the business of podcasting, which podcasters and anyone who works for a living will find useful. Cramming through this show right now! Loving it. I have so much of my own podcasting to do right now… but I’m obsessed with getting through all of these episodes! Some great guests! Enjoyed every minute of your podcast! So much great information .. Keep it up! Victor from the Youngpreneurs Podcast! I'm a podcaster and a podcast junkie myself. Great listen for anyone like Harry or myself who has the "fever"! a podcast about podcasts.... love it. I’m a junkie for Podcast Junkies. Perfect for podcast aficionados! I only recently got into podcasts after becoming obsessed with Serial. Now that Serial is over, I needed new podcasts to listen to. Podcast Junkies did the trick--Harry does all the work of finding interesting podcasts for me to check out. Keep up the good work! I have listened to a couple episodes as of now, #'s 24 and 25 (I think) and was surprised how easy it was to listen to. Very personable conversations. When Mr. Corcoran went for the book, I enjoyed being a part of it. Made it seem like I was part of their conversation. I'm just getting my own podcasts going and feel much more at ease about not trying to be perfect, just natural and sharing content I enjoy. This podcast asks lots of great questions of the guest without ever sounding like the questions are written down and ticked off one by one. It is simply a naturally flowing discussion, easily leading into another topic. Maybe one day I really will be part of the conversation. (when I have some stuff out there). Was honored to be a guest on Harry's show a few weeks ago. Harry created incredible space (container) that brought forth some highly empassioned conversations. My single favorite interview that has ever been done with us. Thanks brother! Podcast Junkies is the podcasters’s podcast. It dives deep into the shows we know and love, and Harry pull out the golden nuggets that lie beneath. Harry does a great job of getting the guest, (who normally hosts another podcast) to open up about how they attack their podcast and daily routines. He almost serves as a liaison between podcast listeners and hosts. This show does a good job of revealing the character behind the podcast community and it makes you want to check out the guests podcast. He gives extremely valuable poductivity tips and tools that you can apply to the podcast and blogging world. A podcast that fits and need in a growing industry. Harry is an amazing host, great show! Harry's interview style is enough to hook me into the show, he brings some amazing guests and uses his finesse to draw out great conversations. one of my favorites :)! I really appreciate what you are doing. These episodes are great. Thanks. With all these podcasts its hard to see what's best out there and to navigate my way through. This podcast is great because you get a little bit of everything. so many popular podcasts from this. something for everyone! looking forward to more. THIS IS SUPREME STUFF. Nothing better than a real dude providing real value. Looking forward to many more episodes. Laid back and absolutely the realist of real. OG style. I just finished episode 1 with Chase Reeves and I loved the easy show flow. Harry guides the conversation expertly, and the result is a show packed with useful nuggets for those of us just getting into the podcasting game. I’m no junkie though. I can stop any time I want too [scratches neck]. I like the easy laid back style of this podcast-its full of great info on podcasts too…am just discovering the range of great podcasts that are available!! Since I have a podcast and I listen to podcasts every day…I'm pretty sure that qualifies me as a junkie! haha Great guests and and Harry is a fun host! Looking forward to more! Lots of great content in each of these episodes. Just subscribed and looking for to more shows. As a fellow podcast junky I’m looking forward to more episodes! It's a podcast for us by (one of) us. Good interviews. Keep it up. - Eric Tivers, Host of ADHD reWired. I admit it, I am a Podcast Junky. I am glad to hear there are others out there. Love the show and keep ‘em coming. A podcasts on podcasts? Who'd a thunk it? With podcasting taking off like it is, I see this being pretty popular! Great guests, and Harry gives great interviews! This show is for me! Since getting into podcasts earlier this year, I can’t get enough! Maybe someday, I can qualify as a junky too! Awesome voice interesting story teller. Love this new show, it keeps me engaged and the host knows how to tell a heck of a story.